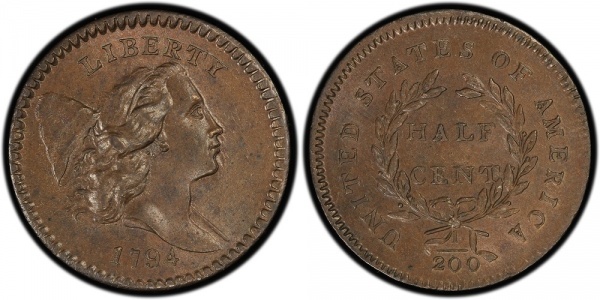 Q: Jefferson and Hamilton favored the copper half cent as a coin useful to the poor. Who argued for the inclusion of a silver half dime among the early coinage denominations, and what was his argument? A: On September 28, 1790, Thomas Paine, political theorist and propagandist for the American Revolution, proposed to Jefferson that a silver five-cent piece be included in the nation’s coinage system, then in its preliminary planning stages. In Paine’s view, copper coins were but tokens required by convenience, having no real value. He argued that copper should be “excluded as much as possible” from the nation’s coins, and that a small silver coin should be available to those who wished to minimize their possession of copper. A: The definition of specie is “coin or coined money” or, colloquially, “hard” money. Payment “in specie” was a condition of contracts in the days when the bullion value of a coin equaled or nearly approximated its face value, giving it a real worth independent of the fiscal integrity of the issuing agency. Today, the wealth of a nation is computed in terms of resources, productivity, and trade balances; much of the world’s coinage has an insignificant intrinsic value; and paper currencies are no longer backed by pledges to redeem their value in silver or gold. Thus the stipulation “payment in specie” has become meaningless.